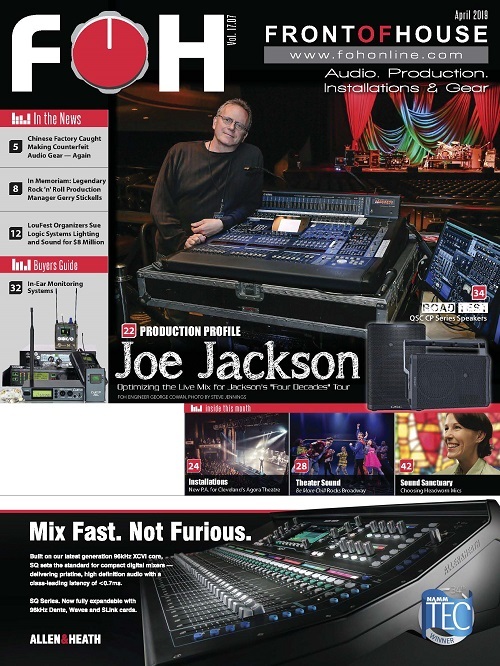 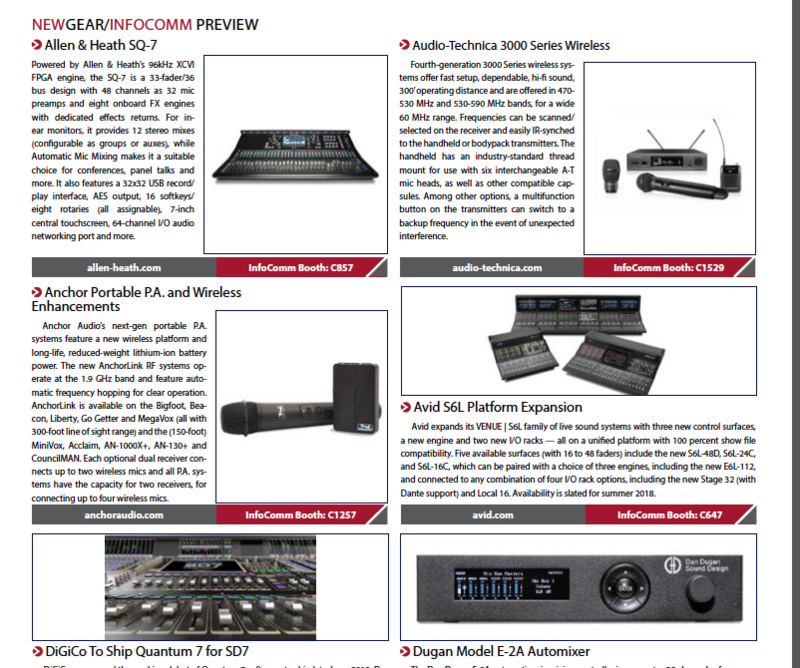 Featured products include Allen & Heath’s SQ-7, Audio Technica’s 3000 Series Wireless, Anchor Audio’s Portable P.A. 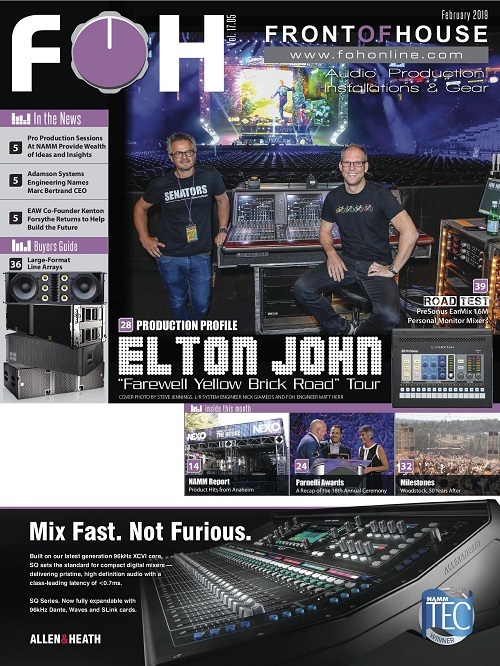 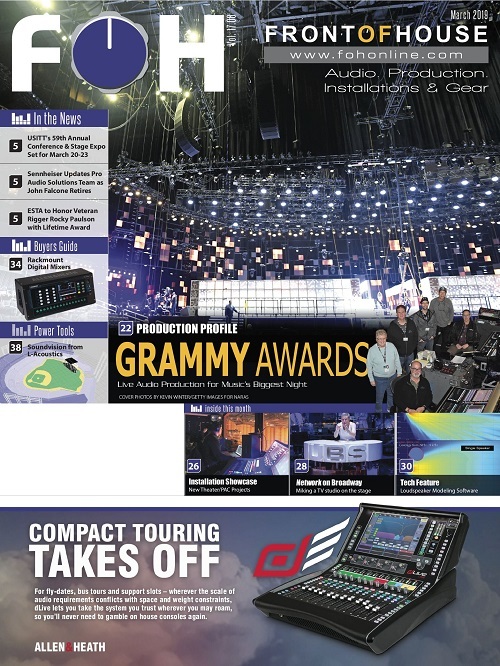 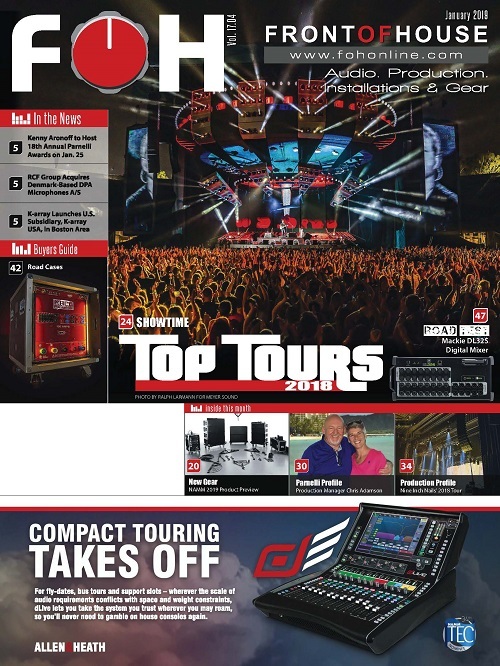 and Wireless Enhancements, Avid’s S6L Platform Expansion, DiGiCo’s announcement that Quantum 7 for SD7 is now available, the Dan Dugan Model E-2A Automixer, EM Acoustics’ HALO-A Arena Line Array, FBT’s latest upgrades for its all-weather Shadow speakers, Galaxy Audio’s TQ6 compact P.A. 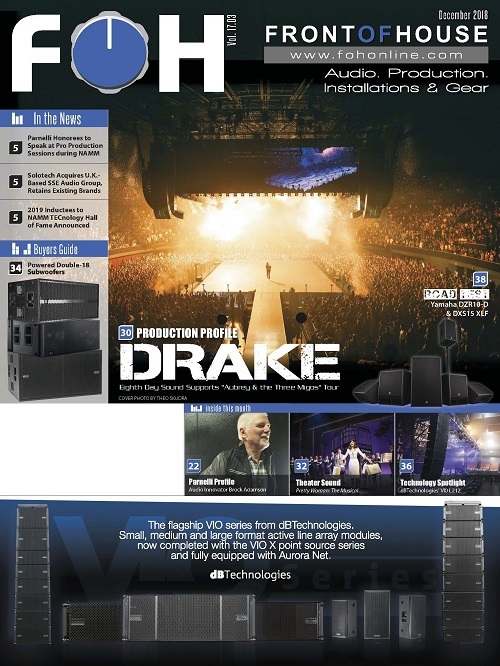 speakers, Martin Audio’s Vu-Net v2.1..1, Meyer Sound’s expanded “Precision Toolset” for their LEO family of line arrays, Neutrik’s True Outdoor Protection (TOP) series of IP65-rated gear, NTi’s DS3 Dodecahedron omni-directional loudspeaker, new PreSonus StudioLive plug-ins, ProCo’s AoDoM 2-channel Dante analog output module, RCF’s NX Series speakers, Rentman rental software, Riedel’s SmartPanel 1200 series, Rupert Neve Designs mic pre with Dante, Shure’s Microflex Complete systems, Sommer Cable Mini XLR’s, Studer Vista 5 Black Edition, Whirlwind’s Chain Hoist Controllers and XTA’s DPA 100 digital processing amplifier.